Our TC-series Construction Signs keep workers and pedestrians safe in unusual or temporary conditions. 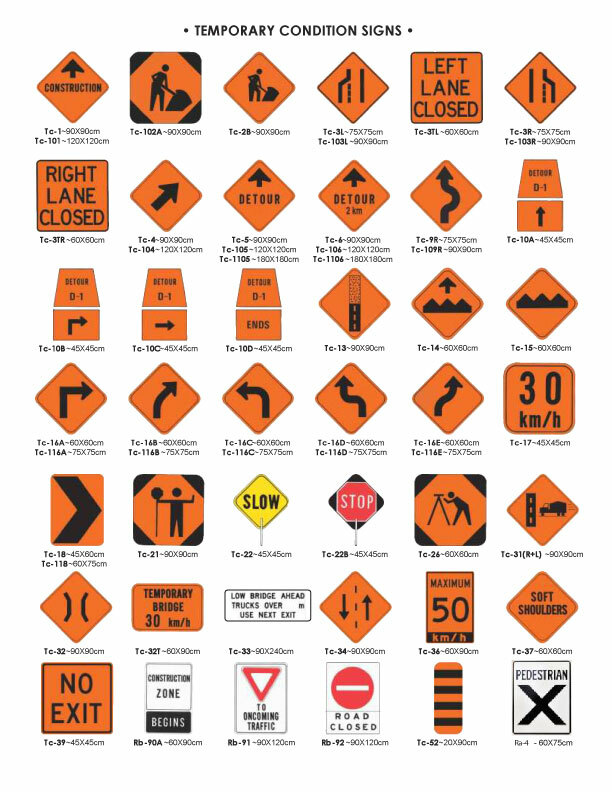 TC-series Construction Signs are generally diamond-shaped, with orange backgrounds and black letters or symbols. We’ll help you put together Custom Construction Signs simply and easily. A complete package. Multicolor Signs provides complete Custom Construction signage solutions for builders, developers, engineers, construction companies, and architectural firms. Our package doesn’t just include reflective construction signs, safety signs and hazard signage, but also security signs to prevent theft, vandalism, and other criminal activities in and around construction zones, buildings, highways, and parking lots. Increase worker safety with our Custom Construction Signs. We’re here to serve you. Contact us for Reserved Signs, Restricted Area Signs, Warning Signs, Security Signs, and Caution Signs, all of which can be customized affordably. Wait! We also create custom CNC parking & road stencils. Email us for more info!